What is ruby sauerkraut, you ask? Ruby sauerkraut is the sweet and sour, crunchy cousin of your standard kraut. This crimson kraut is full of anthocyanin, a potent antioxidant. It makes for a perfect topping for your salad, bowl or even your vegan burger! It is easy to make and stores in the refrigerator for at least 6 months. This post is Part II of a 2 part series; Part I focused on pickling vegetables like carrots, cucumbers, green beans, etc. in brine. 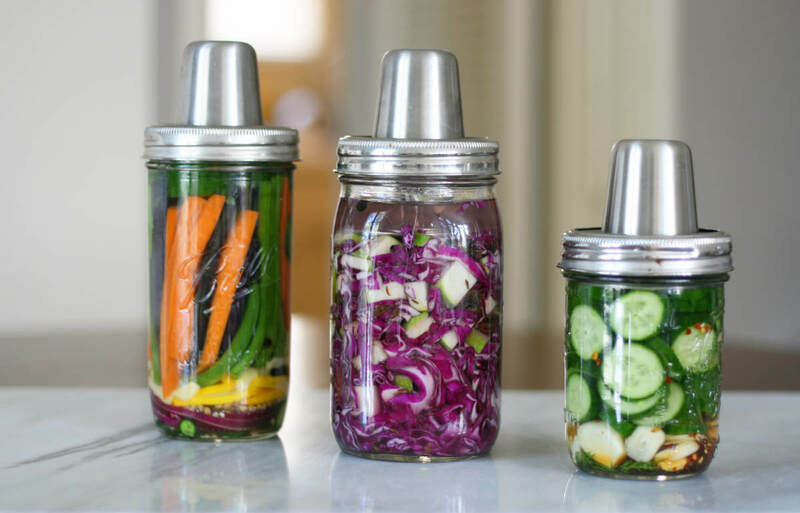 Move the contents into the mason jar along with all the liquid. Depending on the season or the cabbage, it is possible that there is not enough liquid to cover all the cabbage in the jar. Slowly pour the prepared brine into the jar to cover the cabbage. Open the jar every few days. You should smell the sour, vinegary but pleasant aroma. Trust your nose, if it smells rotten, then it has gone bad. Stop. Throw away, and wash the jars - well. Start again. Sorry! Use as a topping on salads, tacos, vegan bowls etc.